Posted on March 18, 2017 by admin under Lin Brian Books, Poetry etc. 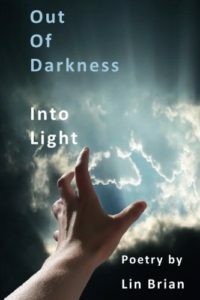 Experience the life changing poetry of Lin Brian as she artfully touches numerous topics ranging from Abuse, Fear and Pain to Help, Beauty, and Smiles. This entry was posted in Lin Brian Books, Poetry etc.. Bookmark the permalink. ← Snowflake Goes to Hollywood – A timeless tale of two girls and a pig.